Missing is the "Sale Pending" sign: Mayor Rahm Emanuel says he's made a deal to privatize the port of Chicago for 62 years. With Governor Pat Quinn at his side, Mayor Rahm Emanuel announced at a Sunday press conference a couple weeks ago that the city and state were ready to privatize another public asset: they would turn over control of Chicago's port to a Denver-based firm for 62 years. "We are taking what was an underutilized, run-down port and turning it into an engine of opportunity," Emanuel promised. These are the times we live in: the city has to sell off pieces of public property so it can invest in them. At least that's the narrative that Emanuel is advancing out of City Hall, like Mayor Daley before him. When they say it over and over it almost makes sense, like it's not paradoxical after all. It certainly sounds a lot better than coming out and saying that the city is for sale. There's one problem, and it's not so little: Most of the city's long-term privatization deals are put together behind closed doors, with such complicated terms that no one can tell if the public gained or got gamed until long after they're on the books. I don't even need to mention the parking meter sell-off. So far even less information has been shared about the port deal. Mayor Emanuel touted it by predicting it would produce 1,000 new jobs in the coming years. That would certainly be a good thing. The port is on the southeast side at 95th Street and the lakefront, surrounded by neighborhoods that have struggled since the steel mills and other industrial jobs disappeared. For decades the port has done a better job of handing out contracts to connected insiders than attracting shipping business. A recent state audit found that its management was what can officially be called a freaking mess: no formal systems were in place to track fee collections from tenants, and contracts were handed out without competitive bids. The audit covers a period before Emanuel appointed a new board chairman, who points to the mismanagement as a reason the port needs to bring in a private operator. So far, though, the port board and the mayor's office have released only scant details about the privatization deal—which sounds all too familiar. In this case, Mayor Emanuel says the winning bidder was the Broe Group, a real estate and transportation firm based in Colorado that will invest in the port in return for keeping 90 cents of every dollar in new revenues. The company is headed by Pat Broe, a savvy negotiator who's also a conservative Republican donor and one of the biggest landowners in the United States. Emanuel hasn't said who else bid or what their proposals were. Since the final terms are still being ironed out, the mayor can't provide a copy of the agreement either. Nor has he offered a clear explanation of his estimate that the deal will create 1,000 jobs. The figure is based on "advanced negotiations with numerous companies about locating operations at the port of Chicago," according to a mayoral spokesman, who didn't respond to follow-up questions about specifics of the deal. "It's based on getting new tenants," says John Pope, alderman of the 10th Ward, which includes the port. Pope didn't have any details on the deal either, but he's all for it anyway, because something needs to be done to create jobs. "It's a challenge," he says. Especially since another major employer began downsizing: the city itself. Between 2006 and 2012, the city laid off more than 400 workers who lived in the 60617 zip code, which includes the port and much of the South Chicago and South Shore neighborhoods. No other zip code area lost more city jobs. That figure doesn't include teachers and other CPS workers, more than 3,500 of whom have been axed across the city so far this year. Meanwhile, more privatization deals are on the way. Last week Lois Scott, the city's chief financial officer, let the Sun-Times know that Midway airport is on the auction block too. Once again, Scott wouldn't provide details. But sources have previously said the city could collect $2 billion or more for a 40-year lease. That sounds like a lot of money, except that Daley once said it was a great deal to get $2.5 billion over 99 years. Is it possible that we could actually get $2 billion for 20 years? Or ten years? Heads up, Port Authority: Do you know where our wallet is? 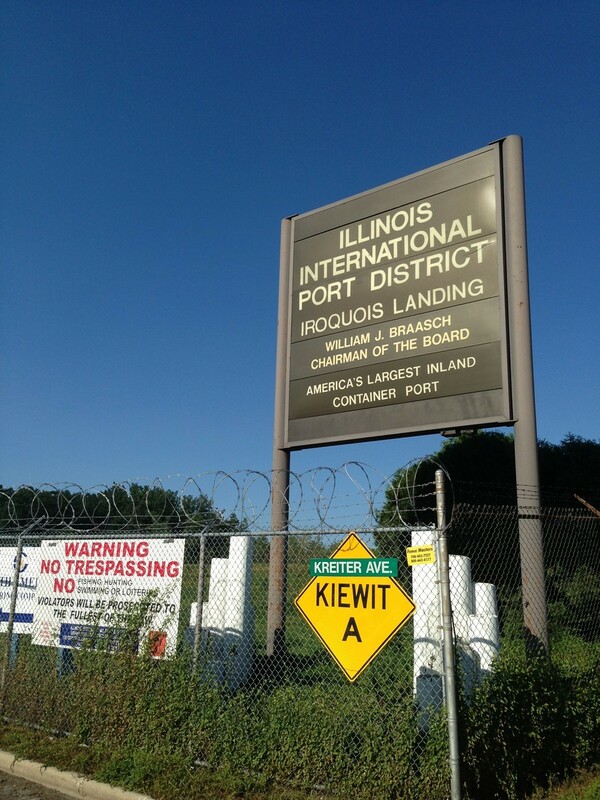 The Illinois Port Authority is entering a 62-year lease with Denver-based Broe Group.